Sarah Simonsen is a fighter, and she has been fighting Dyskeratosis Congenita, a rare genetic disorder, for ten years. At this point in her life, she is in desperate need of a liver transplant. However, to improve chances of being offered a liver, she has agreed to a procedure many insurance companies find experimental. While it has been overwhelmingly successful, there is a chance Sarah will be forced to cover expensive medications out of pocket. 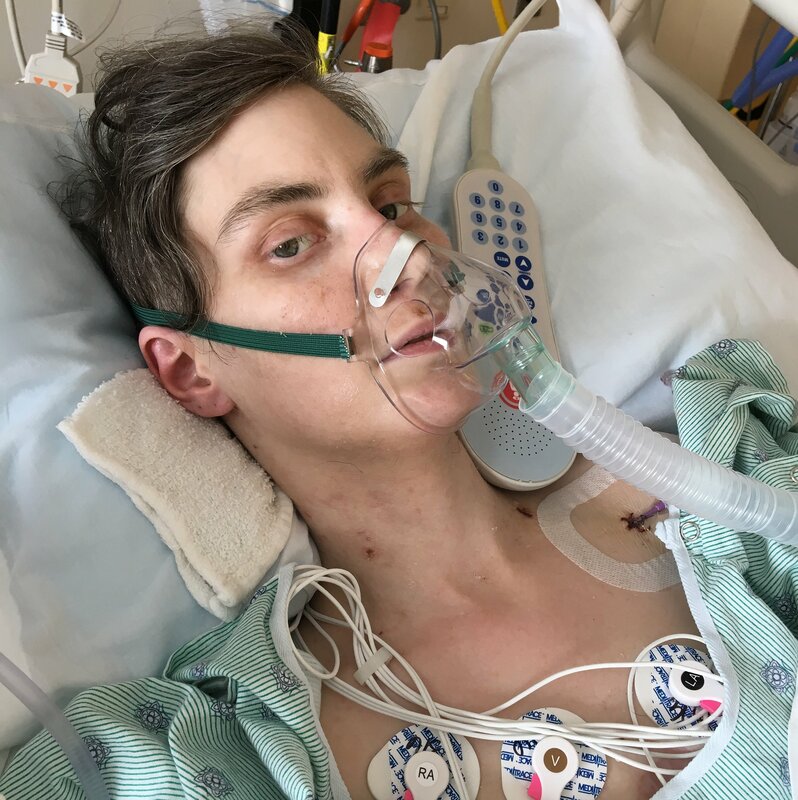 Family and friends of Sarah Simonsen are raising money for the nonprofit Help Hope Live to fund uninsured medical expenses associated with transplantation. Sarah has chosen to fundraise for Help Hope Live in part because Help Hope Live assures fiscal accountability of funds raised and tax deductibility to the full extent allowed by law for contributors. Contributors can be sure donations will be used to pay or reimburse medical and related expenses. To make a tax-deductible donation to this fundraising campaign, click on the Give button. Please spread the word. If you are able, Sarah would surely appreciate a contribution today. God bless you, and thank you for your support! Sarah is heading over to inpatient rehab tonight. It is a big step toward going home. It will be a lot of hard work. Pray that Sarah will have great success and a wonderful attitude. We see the light at the end of the tunnel. Sarah is relaxing this evening with a regular nasal cannula at only 6 liters. Before transplant, she was 8-10 liters. That means her lungs are healing. Today Sarah stood by herself for physical therapy and is no longer in isolation for the flu. She also was able to advance to a “magic cup” which is a custard-thick ice cream. She hasn’t had one yet, but she is looking forward to it. She was also able to aggressively advocate for herself. Considering she did not feel very well today, she did great. Sarah is resting better over the last couple of days. They want to keep her oxygen saturation’s above 90 so her oxygen is 60% right now from 70% yesterday. Tomorrow they plan to do a different type of feeding tube that goes into the stomach so she can get rid of the nose tube. So slow progress. We did get some excellent news today: her Hep C medicine is approved by her insurance company. That is a significant answer to prayer. Sarah update! All the tests today came back negative and the breathing tube is out. She is doing pretty good on a high flow nasal cannula. The goal for Sarah today is is make subtle changes to the ventilation to see what she tolerates. Like trying to decrease the breaths per minute to a more normal range (down to 16 or so from the current 20) and/or decrease the amount of extra oxygen going through the ventilator. (For example, normal air is 21% oxygen at sea level, and Sarah was at 60% yesterday.) She is alert and moving. They are planning to wean her back on her sedation and increase feeding. Also, this morning they sat her up as though she is in a chair, and she tolerated that well with no oxygen desaturation. Praying she does well so she can get the breathing tube out! Nitrous oxide is down from to 2 ppm from 6 ppm in her ventilator, and they hope to ween her off more and more. Nitrous oxide helps the lungs do a better job of exchanging oxygen. The latest blood gasses have looked better than ever for her. She hates having the breathing tube in, which really hits me hard when she is begging to have it removed. The bloody discharge is still bloody, and the transplant team is monitoring her blood counts, which have dropped some, so she might get some blood today. They are going to go up on her methadone (a rational dose) and down on the Fentanyl to facilitate ventilation and increase comfort. Daily Sarah update. They were able to get her feeding tube in today and are taking her off of the paralyzing meds. She will still be heavily sedated. She does have a touch of pneumonia, but she is responding well to the antibiotics. The attempt to ween her off the breathing tube was not successful, but more good news than bad today. Her new liver is functioning well, but her lungs hasn’t figured out how to work with it yet. Mom and Dad had a shift change, and Dad is with her in Baltimore as Sheryl takes care of things at home for a couple days. Thank you for keeping Sarah in your thoughts and prayers. CT scan and cardiac evaluations went well today. She also had some visitors to help keep momma from going stir crazy. Setbacks today. Her breathing tube is back in. Latest on Sarah. They are still moving forward to removing the breathing tube but they need to adjust her O2 pressure support to see how she does on her own. They will do some tests of sorts (not sure what kind) to see if she can handle the breathing tube removal. All the doctors are in agreement she is doing well but are treating her case carefully. Yesterday they were able to completely close the incision. Today they removed one of her central lines. They hope to remove her breathing tube today as well. Sarah has a new liver and everything went well. Sarah is now undergoing a liver transplant. What follows is a tough recovery path for her. We appreciate your prayers and financial support. Sarah is up at the hospital waiting for a transplant surgery tentatively scheduled for 6pm. Today Sarah struggled to get to the eye doctor. Her oxygen levels dropped down to 70 after a few seconds, but she was able to manage. She has her eye on some cute glasses for reading. Thank you for your continued prayers for Sarah. She is mostly spending her days sleeping. Days can be very difficult at times. Please keep he in your prayers and consider an end-of-year tax deductible donation. 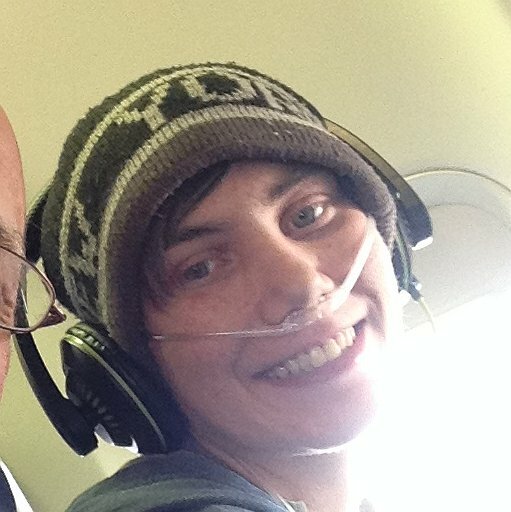 Last weekend, Sarah was called by the liver transplant coordinator that a liver was available. She went up to Baltimore ready for her transplant, but a visual inspection of the liver determined that it was not suitable for transplant. Sarah is back home waiting for the perfect organ. Pray for the family of the woman who passed away from a heart attack in her mid 40s. Today, Sarah was able to get out of the house for the first time in a couple of weeks to complete her Christmas shopping. Sarah has an important visit at Johns Hopkins on Friday afternoon to review test results. Sarah has a scare today, but the doctors were able to stabilize her and she is back at home resting. Sarah is having great difficulty walking short distances. Her oxygen saturation levels drop dangerously low after just a few feet walking. Please pray for her. Sarah just purchased a new hospital bed mattress to help her sleep. The one that came with the rented bed is too uncomfortable. Special thanks to Dr. Solier in Alexandria, VA for putting a cash donation box in their office. If you are looking for a great dentist, this is it. Today Sarah got out of the house for a short while to have an appetizer at Ruby Tuesdays near our house. Sarah is so grateful for all the donors so far, especially those that have never met her. Thanks go out to Doc, Jim, Angie and others. Sarah feels well enough to go to church today. She loves to worship with her church family, and they love seeing her. We had a nice fundraiser last night at the baseball game. We earned almost $300 with a 50/50 raffle and group ticket sales. Thanks to the staff of the Potomac Nationals for working with us on this event. Sarah took the long journey to see the ENT doctor at Walter Reid in Bethesda. The doctor says there is no sign of anything to worry about in her mouth right now. That’s good news. Support Sarah’s Help Hope Live fundraising campaign with a day at the ballpark. Come to Pfitzner Stadium in Woodbridge as the Potomac Nationals take on the Carolina Mudcats Baseball Club on Saturday, July 28th. First pitch is 6:35. Buy your tickets in advance online an not only will you save on your reserve seats, a portion of each ticket sold goes to help Sarah Simonsen with her upcoming transplant expenses. Yesterday, Sarah had some doctors appointments at Fort Belvoir Community Hospital. Her doctors remarked that she looked better yesterday than she did when they saw her last. That made her dad happy. Small victories. We love you and are trustyJesus! The love and trust expressed by the entire Simonsen family while experiencing many earthly challenges is such an amazing testimony to their unshakable faith in Jesus Christ. It is a reminder to stay focused on Him, the source of my strength and hope, when having to deal with worldly matters each day. May He do exceedingly, abundantly above all that we ask or think!!!!!! Sarah, our Battle Buddy network is hear to support you and your family. Jim Y. Love you so much Sarah! May God Bless and heal you Sarah! Sweet Sarah, I continue to hope and pray for your healing here on this earth. Your happy spirit and your love for the LORD are an incredible testimony. May you continue to fight the good fight and run the race well. God cares for you, and so do so many friends and family. Sarah, we are inspired by your strength and the hope in your heart. You are always in our thoughts. Keep punching, Sarah: you're bigger than the problem!